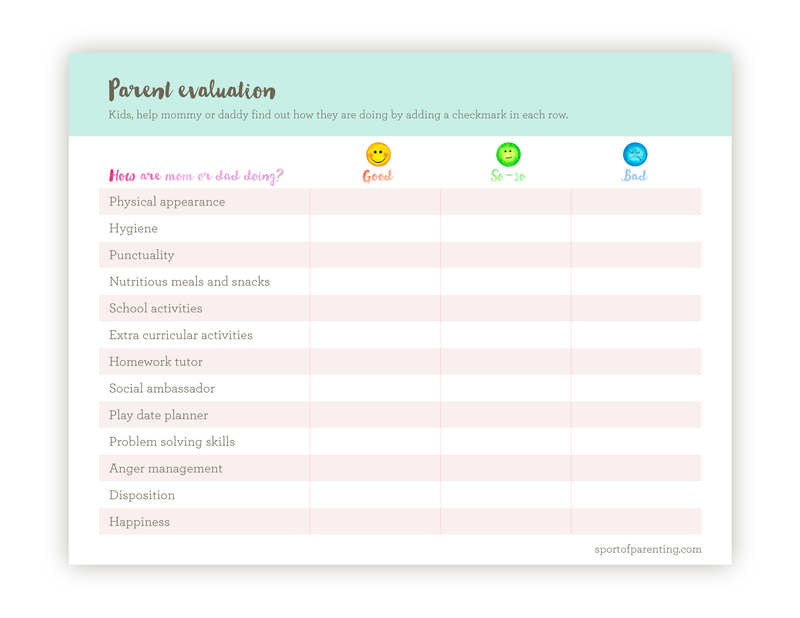 It was very important for me to receive input from my children on the job that I was doing as their parent, so I decided to create an evaluation that they would enjoy grading. The result was a multiple answer format that helped them place my level of performance in various categories. I sat down with them, I explained the objective, read them the instructions and gave them a little vocabulary lesson (never squander an opportunity to do one of those;) the enthusiasm was unbelievable. They felt excited because their opinions were being solicited and considered important. I share with you now the PARENT EVALUATION, a test that in the end was a very positive experience for everyone and great feedback for me.